Sooo here is my first blog post! I had an old laptop I was going to donate to goodwill with windows vista on it, but one day I thought why not wipe it an install Linux on it. 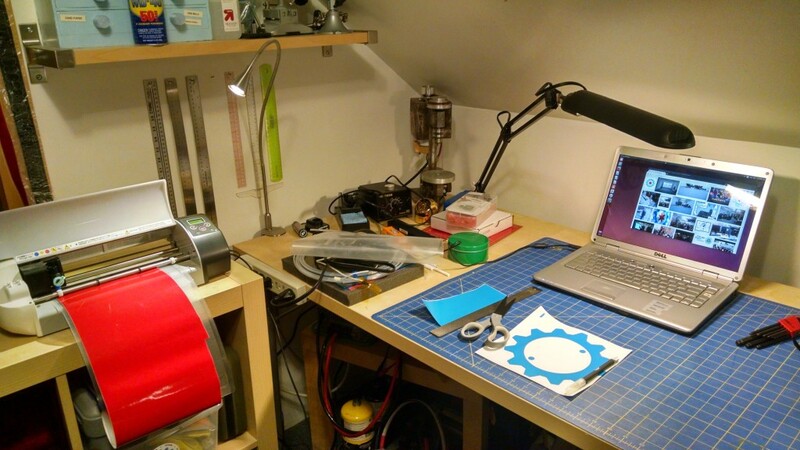 Well to my surprise the laptop runs Linux really well, I started using the laptop on my workbench. One problem though… the laptop cover was an ugly rubbery pink, which had gotten oddly sticky after I tried to clean it. So I unscrewed the cover and coated the pink surface in black vinyl…and it looked way way better. Then I thought, hey why not make a SSH:C logo themed laptop? 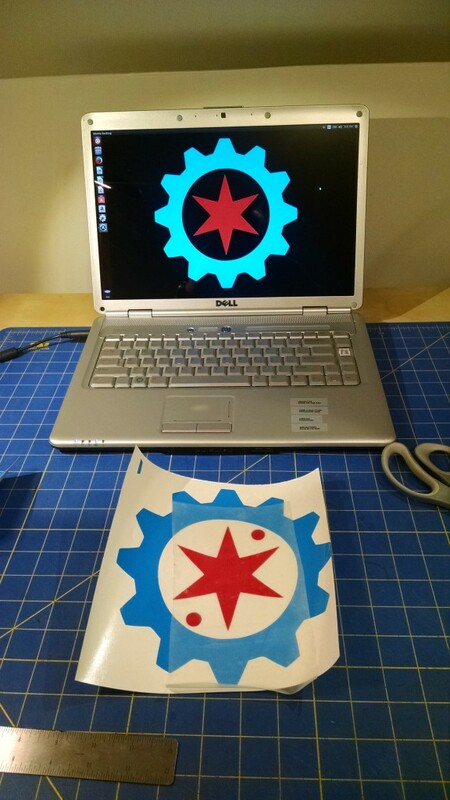 I opened up inkscape and generated a vector SSH:C Gear Star logo and cut it out on my tiny Silhouette SD vinyl cutter. Here are some photos of the vinyl sticker production. 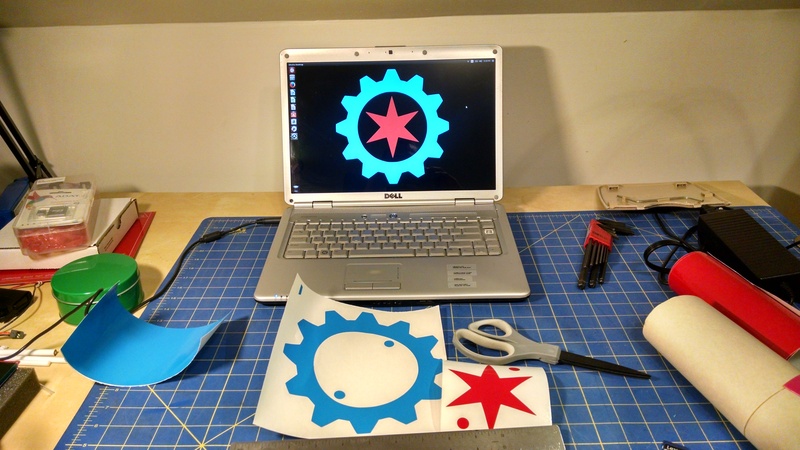 Vinyl cutter on left cutting the red star, gear with registration dots just below laptop. Gear and star ready for assembly, also decided to change my background to the same logo. Assembled and ready for transfer to the laptop! 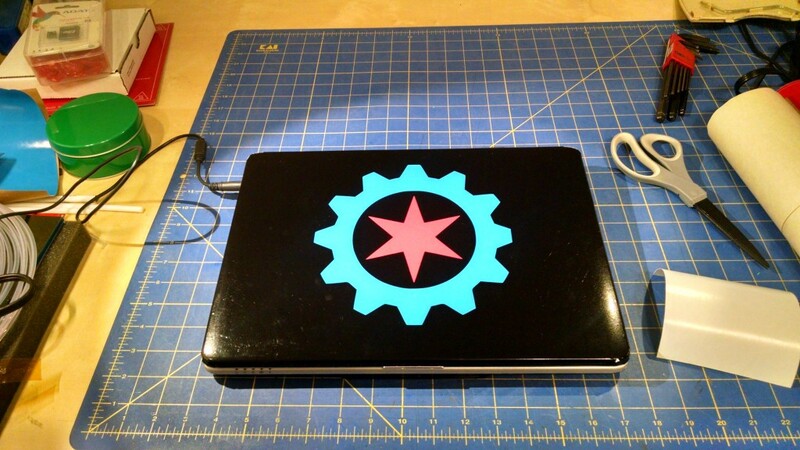 Logo applied to laptop! 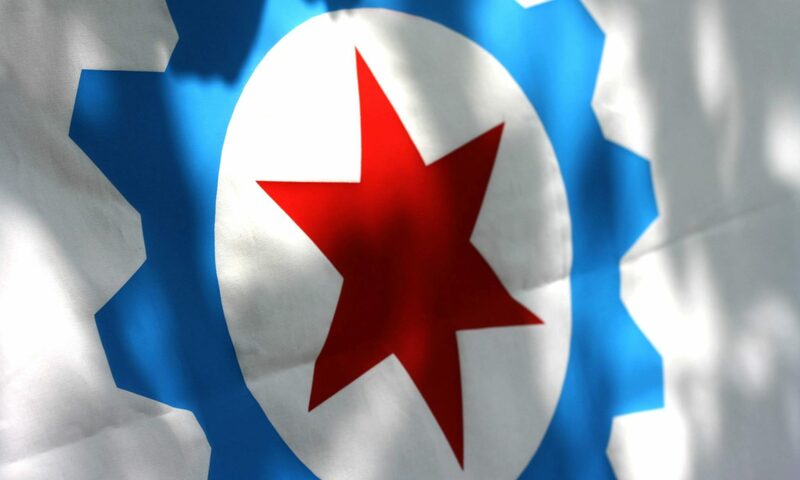 However Dimitry pointed out that the center of the logo needs a white roundel, frak! Should have read our wiki on our logo first! I’ll have to post rev 2 of the “gearling” logo soon.